A dedicated art specialist teaches art to students in grades K-8, while preK teachers incorporate art into their comprehensive classroom curriculum. Partnerships with The Children’s Art Guild and the Learning to Look Program through the MET bring additional resources and authentic encounters with the arts to SBS. 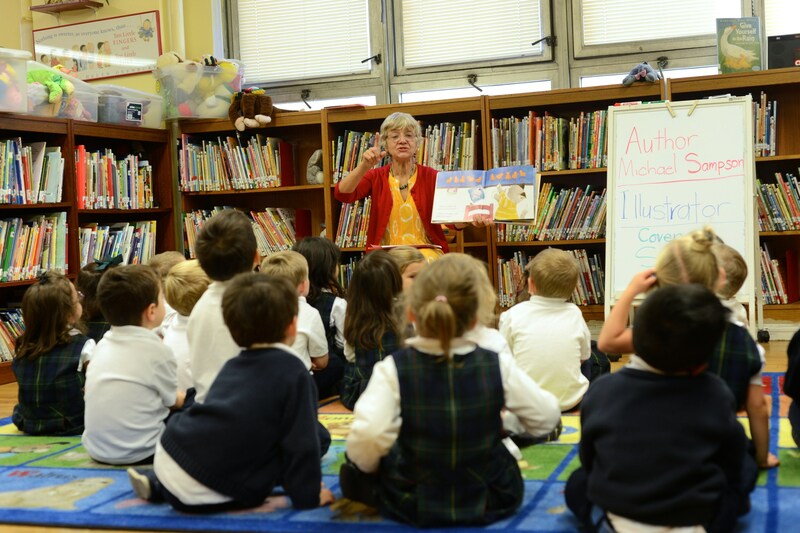 The school’s library media center is a learning hub with a full range of print and electronic resources for the Blessed Sacrament community that align with both student interest and the Common Core State Standards. The library is a full circulation library, allowing students to borrow books and explore literature through the web-based circulation and inventory system. The library itself receives ongoing grants to purchase additional materials, and has received over $225,000 thus far over the past 10 years. In addition to weekly visits with their classes and special events like author visits, students are invited to visit with parents during open library hours. The Theatre Arts program, led by Broadway veteran Laurie Gamache, creates a dynamic space in which students learn how to communicate, interact, and express themselves through theater while also developing music skills through song. Students participate in school concert performances twice a year, as well as individual class performances throughout the year. 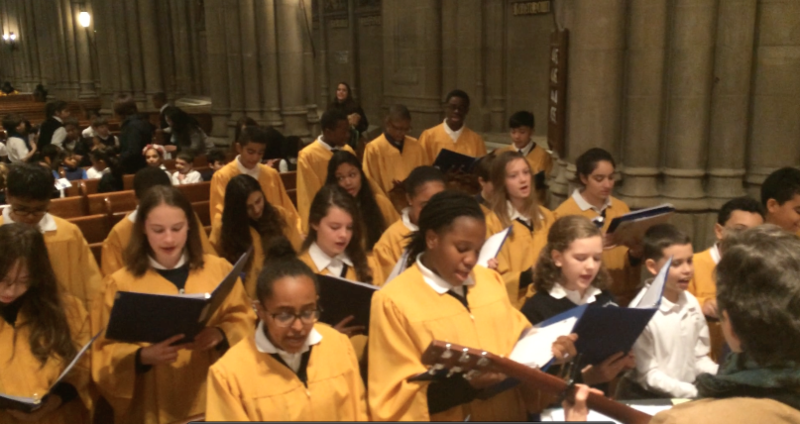 Middle school students are invited to join the SBS Choir, through vocals or instrumental participation, and lead monthly Masses and various Sunday Masses throughout the year. 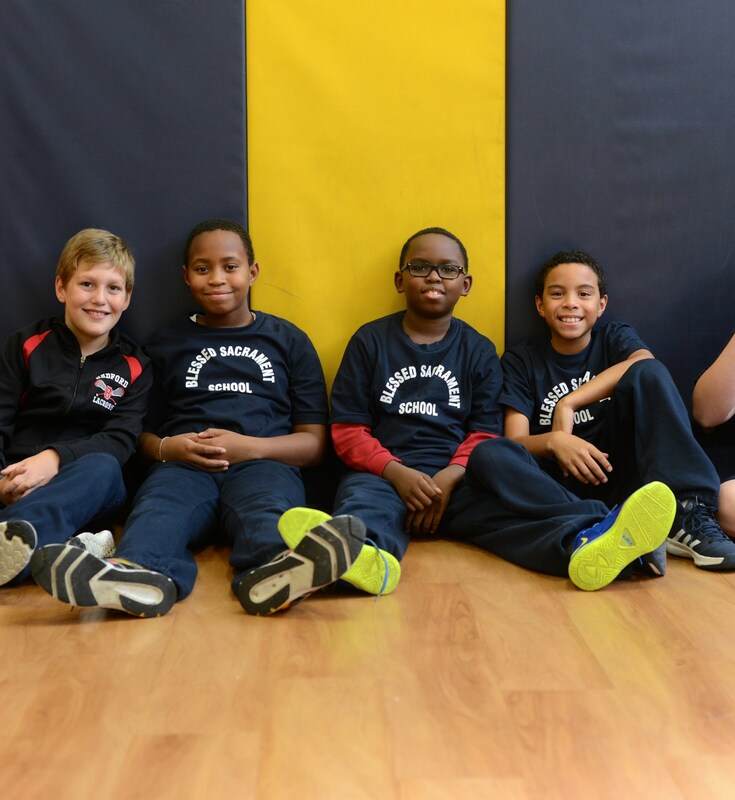 Our PE program aims to help students build gross motor skills, body awareness, sports knowledge and teamwork. Physical Education classes strive to promote a positive attitude towards a healthier lifestyle as students are given the insight and tools to make health conscious decisions now and into the future. Creativity, collaboration, abstraction and persistence are thinking skills that our digital age students are encouraged to develop. With this in mind the Technology department at SBS offers a program of computer literacy and computer science. Kindergarten through 8th grade students visit SBS computer lab on a weekly basis to develop computer literacy skills through the use of Google Apps for Education (GAFE). Students use the core suite of Google Sheets, Docs, Slides and Forms and collaborate with their teachers and other students to publish media rich content projects. 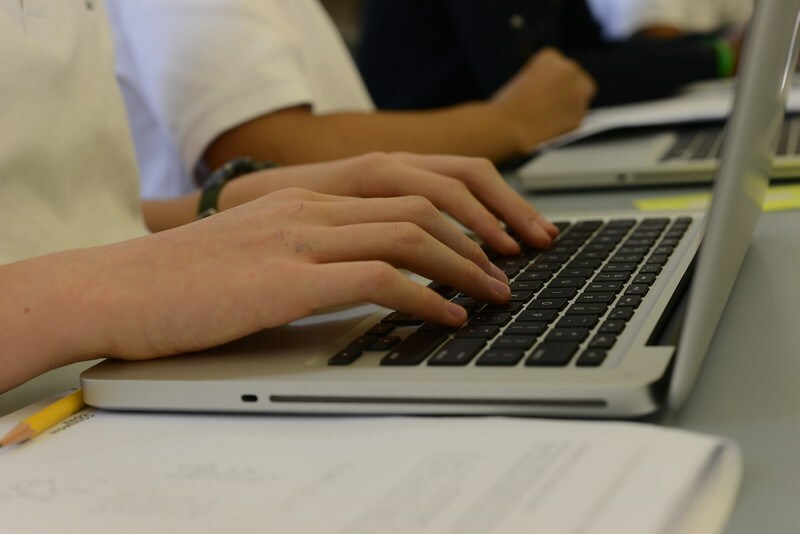 Lower school students develop their keyboarding skills using Keyboarding without Tears (an online subscription based program) and Upper school students access Typing.com to hone their skills. All programs are used to enhance the curricula. SBS ensures that K-8 students are provided with some fundamental knowledge of Computer Science and programming. There is a strong emphasis on computer programming and project based learning at SBS. Students use Tynker.com which provides a fun and effective way to learn programming. Other programs such as Scratch, Kodable.com and Code.org are also utilized. Students use robotic devices like Lego Wedo2, Ozobots, and Spheros, which provides tangible and observable effects for students, to understand computer programming and programming concepts. Opportunities for exciting STEM concepts are achieved with easy to use hardware and software Arduino and Makey Makey circuits boards which provides students with the opportunity for physical computing. For students (Grade 6-8) interested in engineering, technology or design, a further elective class is offered.